Looking For Wedding Reception Singers in Ireland? Then you’ve come to the right place. Singers for Hire are specialists in Wedding Reception Singers Ireland. We have vocalists for every occasion and our wedding reception singers are the very best you’ll find anywhere in Ireland or the UK. Your Wedding day is possibly the most important day of your life and probably the only time you’ll ever be booking professional musicians! You’ll want to entertain your friends and family with the best. Well that’s just what our singers are. We have versatile singers in who can sing multiple genres. They are ready and waiting to entertain you and your guests on your special day. We have jazz singers for late night events & swing singers for lunchtime drinks receptions. Also our unique speciality, surprise “Opera Singing Waiters” who sing during or after your wedding meal. 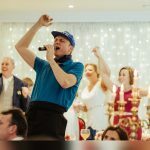 All our Wedding Reception Singers are tried and tested professionals. Always rehearsed and impeccably presented. Time keeping and punctuality are among the most important talents we look for in the singers we book. The equipment we use is of the highest quality and always professionally installed and operated. Sound checks and set ups are always discreet and done with minimal fuss. Your day is as special to us as it is to you and the Wedding Reception Singers we provide believe this too. We have sung in the very best venues in every corner of Ireland North and South. We are proud to come strongly recommended by top hotels and always work with your hosts to make your day unique and special. We’re regulars in hotels such as The Merrion and The Marker hotels in Dublin, the K Club in Kildare, Park Hotel Kenmare, Europe Hotel & Resort Kerry, Lough Eske in Donegal, Waterford Castle, Castlemartyr in Cork and Dromoland in Clare to name but a few. We can advise on trends and new music styles and are always looking for new and unique ideas to entertain you and your wedding guests. We are happy to develop unique set lists for your Wedding Reception Singers Ireland. Singers for hire are happy to incorporate your ideas and your favorite songs to make your wedding reception the best. I just want to say thank you so much for the great performance on Saturday. It was certainly the highlight of the evening, the Bride & Groom loved the surprise and everyone was still talking about it the next day. 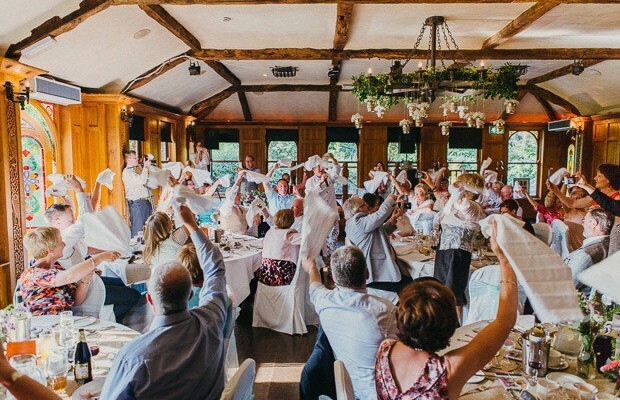 Just a quick email to say thanks a million to the singing waiters for their performance at our wedding on the 14th of September in castle durrow. They both were amazing! The feedback we received from the guests was brilliant and definitely was one of the highlights of the wedding! The bridesmaids loved the Singing Chef as did everyone else that was involved! You were right in saying that they won’t disappoint and I’m glad we went with them! I want to let you know that the singer/performers, Marco and Ryan, who you sent to my party were just wonderful. They were the ultimate professionals. The element of surprise for my guests when Marco began to sing dressed as one of the waiters, was terrific and all the songs they sang were thoroughly enjoyed by everyone, especially me. Because the song list included familiar tunes, most of them sang along, clapped and truly had lots of fun. Thank you for arranging this and I won't hesitate to recommend you.